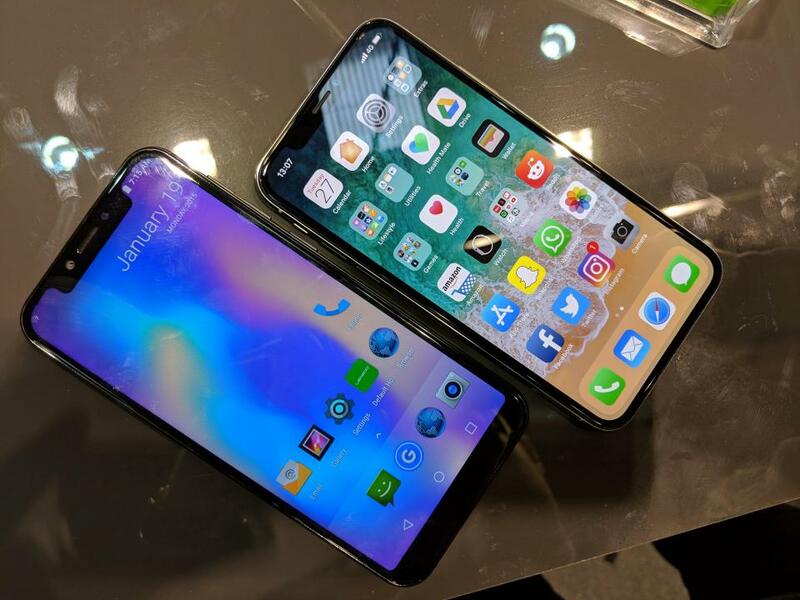 One of the phones spotted at the Mobile World Congress 2018 in Barcelona is Leagoo S9. Leagoo S9, according to multiple media sources is a replica of Apple's high-end device - iPhone X. It copies every bit of Apple's flagship designs and features. The Leagoo S9 smartphone, tagged 'World's First Android Notch Display Smartphone' features a rear-mounted fingerprint sensor and Face ID 'Access' recognition (located at the little panel on top of the display which is similar to iPhone X) which unlocks the phone under 0.1 seconds. It also features a 5.85-inch "HD+" IPS notch display, Sony's 13MP+2MP dual rear cameras, 4GB RAM & 32GB of storage and an amazing 3300mAH battery. Android v8 (Oreo) operating system. Other sensors include Light sensor, Proximity sensor, Accelerometer, Compass, Gyroscope. The Leagoo S9 Smartphone is expected to retail at $149.99 when it is officially released later this year alongside Leagoo S9 Pro (whose specifications is yet to be announced). But do you know that through Leagoo S9 Global Reservation; the smartphone can be purchased with just $1.99 USD. Sounds crazy right? 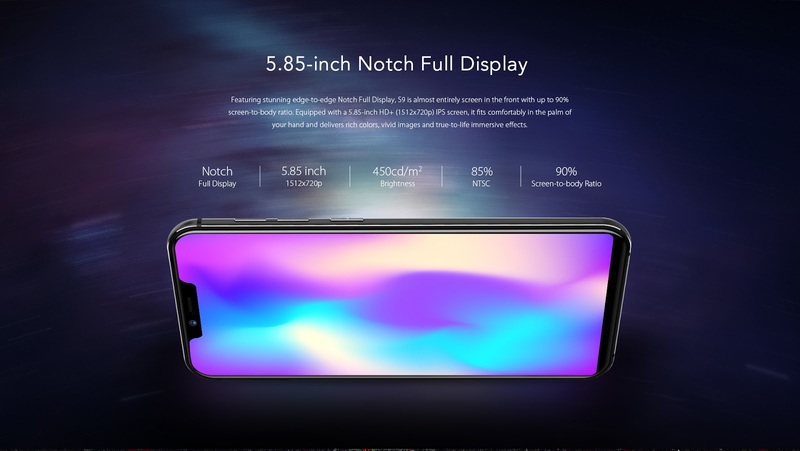 3 lucky winners will be given the opportunity to purchase the World's First Android Notch Display Smartphone with only $1.99 USD through its Social Network Site (SNS) Competition. 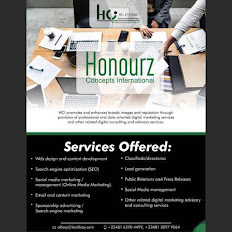 Check more on the competition on the image below. 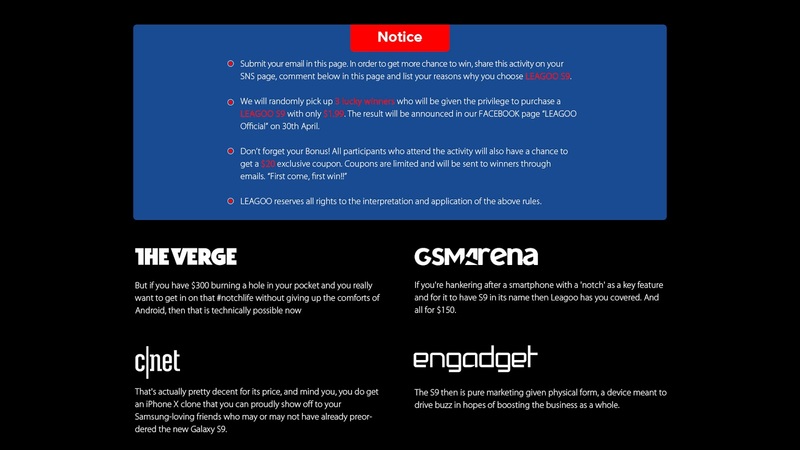 Go to Leagoo S9 official page to submit your Email.